CBS Kilkenny uses the VSware online payment system to process school charges. 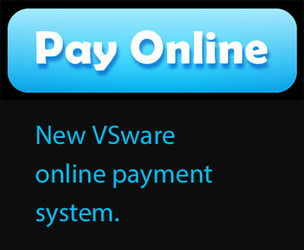 Your VSware log in enables you to view your son's timetable and academic reports and also to process payments online. If you experience any difficulty with this system, please call the CBS Kilkenny Office on 056-7721402. First Years: €70. This includes: subject charges, photocopying, 24hr personal accident insurance and miscellaneous expenses. The income generated by these payments is very important for its contribution towards the provision of excellent facilities and resources in these subjects. Includes: photocopying, 24hr personal accident insurance and miscellaneous expenses. However, if you are in a position to increase this payment to €250 in a single tax year, this has a very significant extra benefit to the school due to a tax rebate from the Revenue Commisioners. The Board of Management of CBS Kilkenny appreciates the contribution of all families towards the very significant costs of running the school to its current very high standard. It is not possible to maintain these standards without the support of you, the parents and guardians, towards your sons' education. Every effort is consistently made by the Board to minimise these charges and to ensure that income is expended in a prudent and cost-effective manner. Letter with full details can be accessed here. CONTENT OF LETTER WHICH WILL BE POSTED TO ALL PARENTS IN AUGUST. You have access to the school Management Information System, VSware. This enables you to view your son’s (more than one son, if applicable) timetable, home information, school charges and reports. It also enables you to pay school charges conveniently online. Later on during the year, this will be expanded to include Behaviour and Attendance records. Please note that academic reports will no longer be routinely posted to you. All of this information will be available online. This is necessary due to the high costs of postage (every time we post to parents, the school incurs a postage cost of €700). Through the VSware system, you will be able to print your son’s school reports and retain them for your records. Log-in details are case sensitive and may include numbers and keyboard symbols. You should receive just ONE username and password even if you have more than one son attending the school. If you have requested separate communication to each parent when you enrolled your son, both parties should receive usernames and passwords. Once logged in, you can view your son’s timetable, all academic reports, school charges and contact details. To view another son’s information, click on the right arrow under the student’s profile name at the top left. There are charges in place for practical subjects, mock examinations, insurance, photocopying and other miscellaneous expenses. The income from school charges is essential to maintain the high standards of resources, facilities and educational experience provided in CBS Kilkenny. Expenditure in these areas is very carefully considered by the Board of Management, which is very appreciative of your support. Once logged in, please visit the Fees tab down the left hand side, select the fee(s) you wish to pay and click Pay. You will be prompted to select a card type and enter payment amount. Please tick on the payment method box to choose what payment card you wish to use. Please note that the Family Contribution is €100 or €250. All families are asked to pay the €100, but there is a considerable additional tax rebate for the school if you choose to pay €250. In the event that you select the €250 payment, we will contact you to complete a tax rebate form. The list of charges payable is printed on the next page. Should you prefer to pay by cheque or cash, please complete the boxes at the bottom of the list and submit it, together with payment, in an envelope to the School Office. A receipt will then be issued. If you experience any difficulties with the above online system, please contact the School Office on 056-7721402. Please retain login information securely. Please pay all charges before your son returns to school in August. How much are the charges each year? All students: Family Contribution of €100 or €250. By contributing €250 in any one tax year, the school can avail of a tax rebate on your contribution. This can significantly increase the benefit to the school, without costing you any more than €250. The First Year, General Expenses, Mock Exam charges and Practical Subject charges are compulsory. All families are asked to pay €100 Family Contribution (one per family) as a minimum. Opting to pay a €250 Family Contribution has a significant additional tax rebate benefit to the school. When do I have to pay the charges? All charges must be paid before your son starts school in August. How can I pay the charges? Pay cash or cheque through the front office. Pay online (you will have received login details). How is the income spent and how does my son benefit? 2015 – 2016: Development of Bialann and School Library, New computer room, Upgraded lockers, new classroom tables and chairs and refurbishment of science labs. 2016 – 2017: Refurbish and refit Technology Room, extend IT infrastructure, purchase gym equipment. 2017 – 2018: Full refit and upgrade of IT room. Refit of DCG room. Replace desks and tables in multiple classrooms. Replace exam furniture. General Expenses: Photocopying, insurance, bus transport, Social and Support Programs, Guest Speakers, Learning Support resources, Extra-tuition and Language supports, Mental Health Awareness and Counselling, SMS, postage etc. Practical subjects: Art supplies, Music equipment, software and scores, Drawing equipment, Home Economics ingredients and equipment, Technology equipment, Construction and Woodwork wood and other equipment and consumables. What is the €50 per student charge for the NEW SCHOOL DEV FUND?